Fully equipped kitchen,( sandwich maker, slow cooker and much more, home from home) double shower, garden area, with patio at back of van and balcony. In nice quiet location. Indoor and outdoor pool, crazy golf, go-carts evening entertainment, Bingo, laundrette, shop on site. Near the beach (short drive) sea viewable from park. Local farm shop near by. Good base to get to many of Kent's great attractions. Passes are £1 per person per day payable on arrival at reception. Internet is available I. The club house only. Front rooms it's many people comfortable area with plenty of cushions. Fully equipped kitchen. Slow cooker sandwich maker etc. Table sits 4 comfortably and can be used for 6. Small veranda ideal for sitting and enjoying the time passing by. Crazy golf available for hire via the swimming pool. Reasonable rates. A trip to near by Howlets zoo and seaside was all we could fit in .a lovely family friendly site with lots of day trips a short drive away . clean,homely and all what U need caravan! We, three men on a fishing trip. Stayed in this nice and clean caravan. 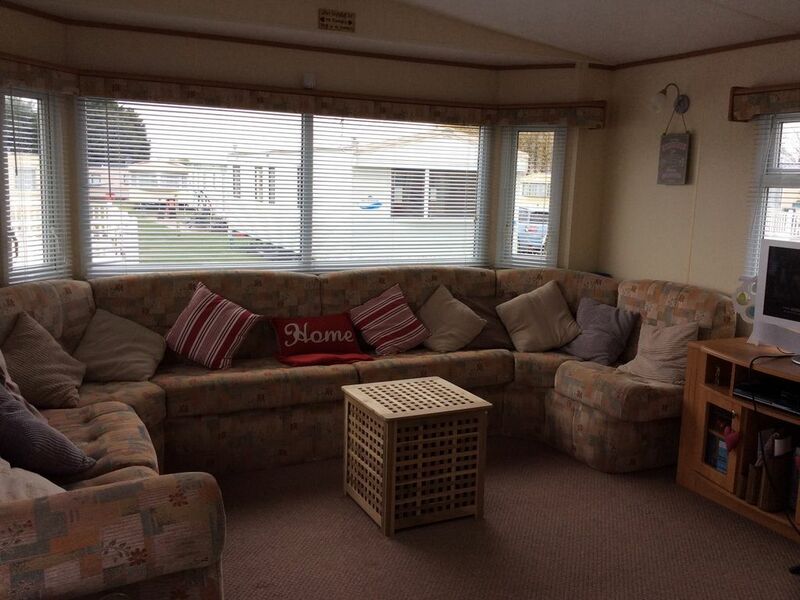 Everything you needed for a weekend stay, its in this homely caravan. Certainly an accomodation to come back again. The caravan we had was very clean and tidy and close to the entertainment and swimming pool. The staff was very friendly. The communication with Tanya Hunt was helpful and pleasant.